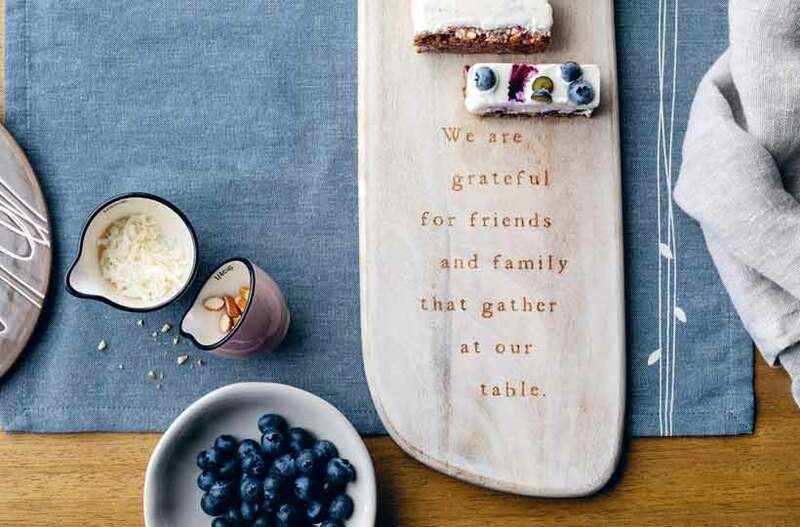 The Together Kitchen Collection is about the memories that are created in the kitchen making and baking together. 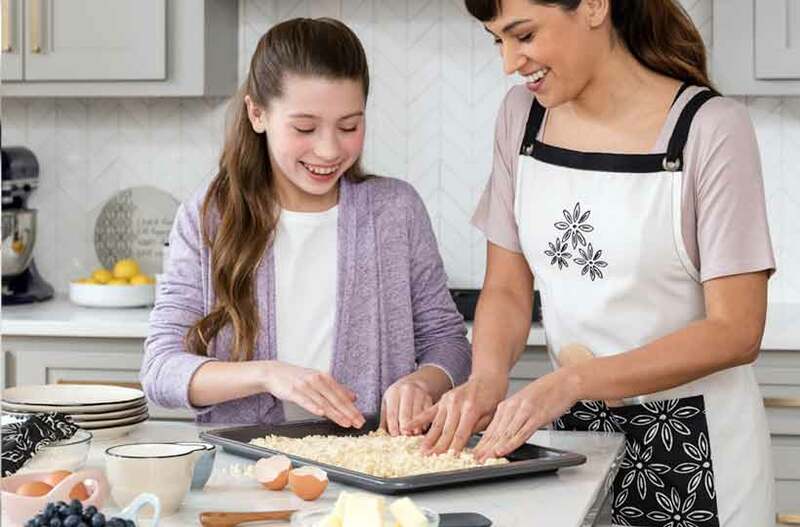 Baking is the perfect opportunity to connect with family and friends of all ages. This collection offers fun and whimsical designs on baking formats in big and little sizes perfect for making and sharing yummy treats. A white apron with a teal strap and black floral pattern at the bottom. It has a message at the center, written in white on a black background that says "One fantastic cook." 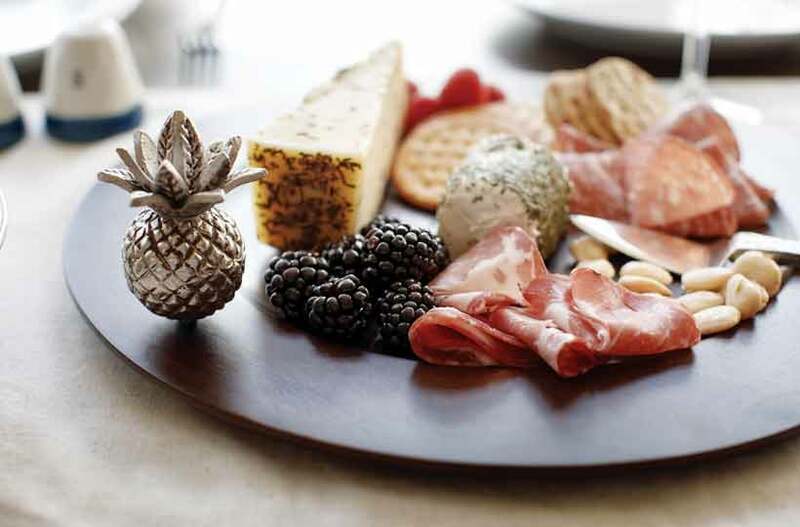 Makes a perfect gift for family and friends. Great as a housewarming gift, or for those who like to entertain and spend time in the kitchen Sentiment: "One fantastic cook." DEMDACO One Fantastic Cook Adult Apron by Together Kitchen Collection. Made of 100% cotton. Measures 27"w x 31"h.
A white apron with a teal strap and black floral pattern at the bottom. It has a message at the center, written in white on a black background that says "One fantastic cook." Sentiment: "One fantastic cook." DEMDACO One Fantastic Cook Adult Apron by Together Kitchen Collection. Made of 100% cotton. Measures 27"w x 31"h.